This is a great place to see dolphins and discover these amazing creatures. Whether your strolling the beach, out on a boat or visiting our world famous “Winter the Dolphin” at the Clearwater Marine Aquarium, dolphins are a part of our everyday life. 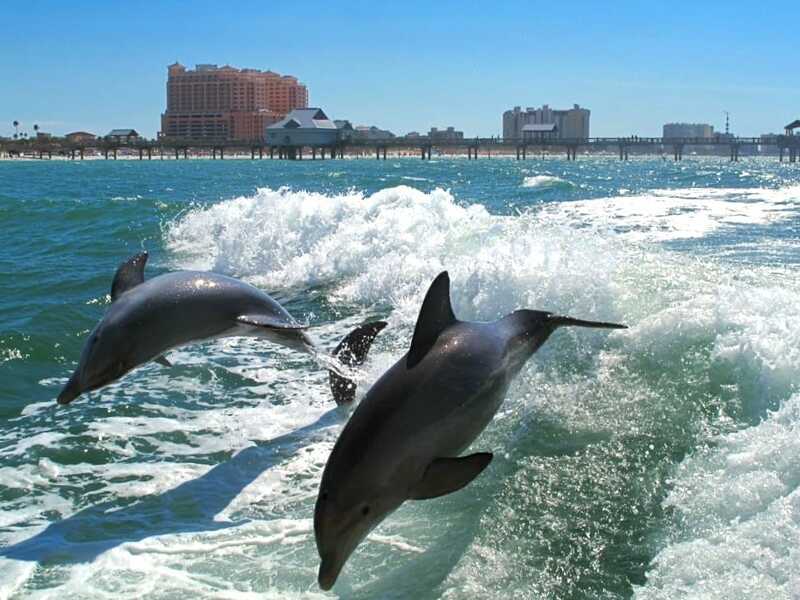 The dolphins pictured here were having a great time riding and jumping the wake of a boat off Clearwater Beach.